WAFFLES: Um, hi everybuddy. The Boss just got this really cool book. She says I'm not allowed to read it yet. But I think she's pulling my paw. KATIE: Leg, Waffles. Pulling your LEG. And you're right. I don't want you reading that book. WAFFLES: Why not, Boss? Does it have secrets and stuff? KATIE: As a matter of fact, yes. Now get your nose out of there. That book is MINE and I don't want you stealing any ideas from it. 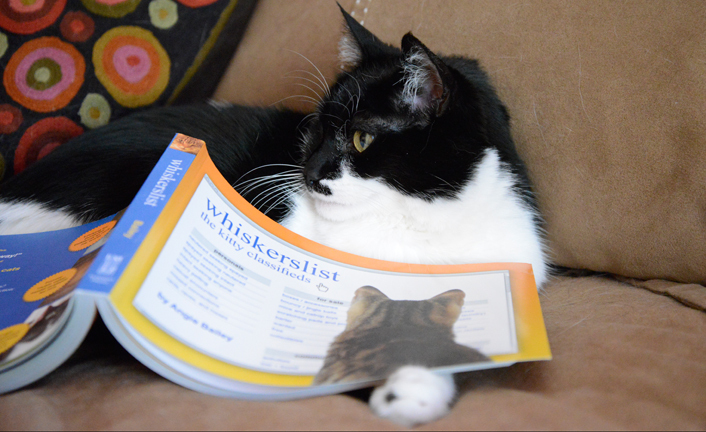 Our funnygirl-friend, Angie Bailey, of Catladyland fame just released her newest book, Whiskerslist The Kitty Classifieds. She sent ME (not Waffles) an advance copy so I could purrsonally tell her what I thought of it. But first, let me tell you a little about it. 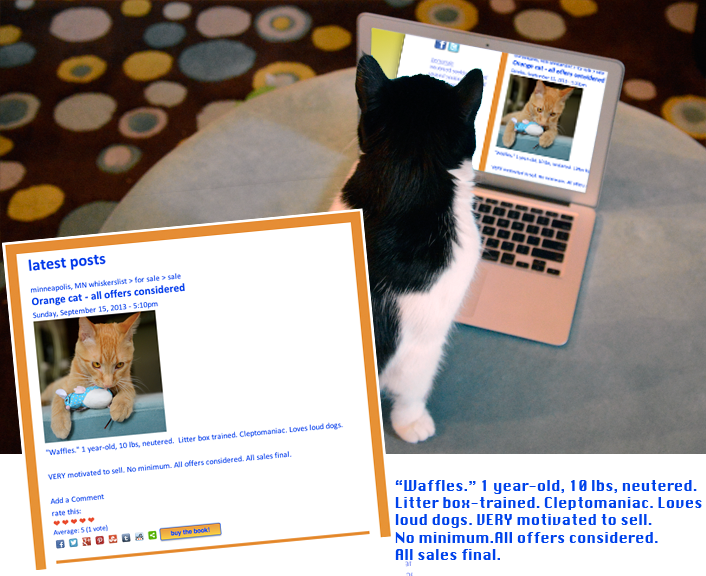 Whiskerslist is a compilation of over 160 craigslist-style classifieds written by cats for cats. Cats seeking cats, lost toy postings, classes, for sale/trade, list goes on. I chew cords for you.
! 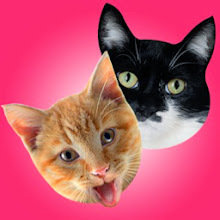 !CHAT WITH LIVE CATS NOW!! Lot of toy mice for sale. Varying conditions. Must take all. Anger management group looking for new members. If you like tuña coladas. Glogirly says it's one of the most hilarious parodies she's ever seen or read. But *I* say it's much, much more. In fact I've been studying it, using it as a research tool, as I plan my OWN kitty classified ad. Now THIS is really cool. 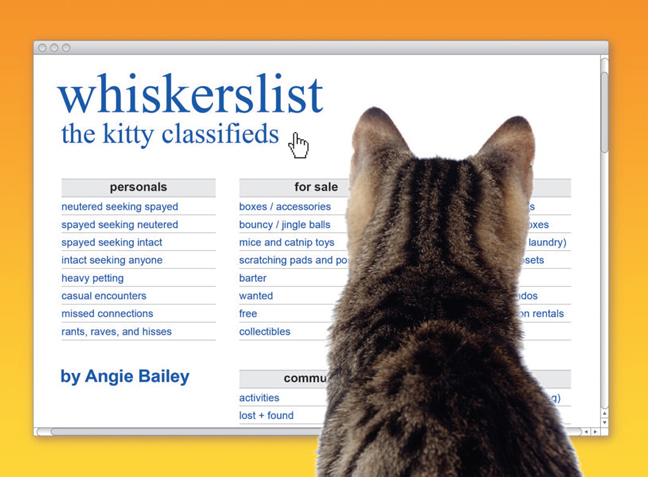 You can go to Whiskerslist.com and create your very OWN kitty classified listing. 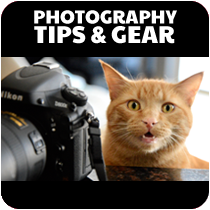 Just enter your headline, a brief description of what/who you are trying to sell/trade, etc... upload a picture and congratulations...you've got a kitty classified. WAFFLES: Hey Boss! What kind of ad are you going to write? Are you gonna sell some of your old toys? KATIE: Yeah, that's it, Waffles. I'm going to sell some old toys. You know, nothing I'd actually miss or anything. KATIE: There we go. 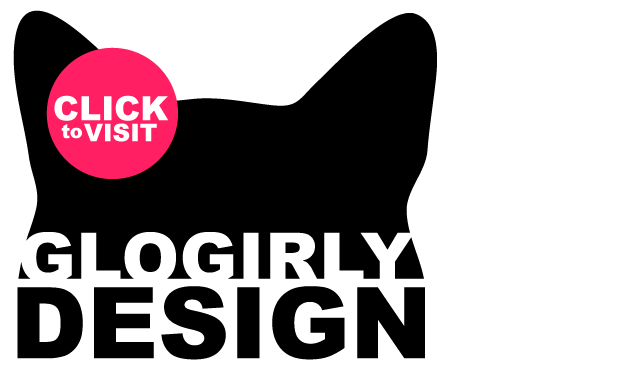 Just hit SUBMIT and wait for the rush of emails. 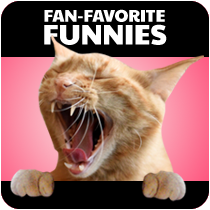 FROM GLOGIRLY: You know we LOVE to laugh... and Whiskerslist has us in stitches! It's funny, it's clever and in the moment. 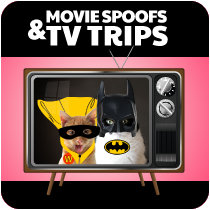 It will have you & your kitties dreaming up endless possibilities. 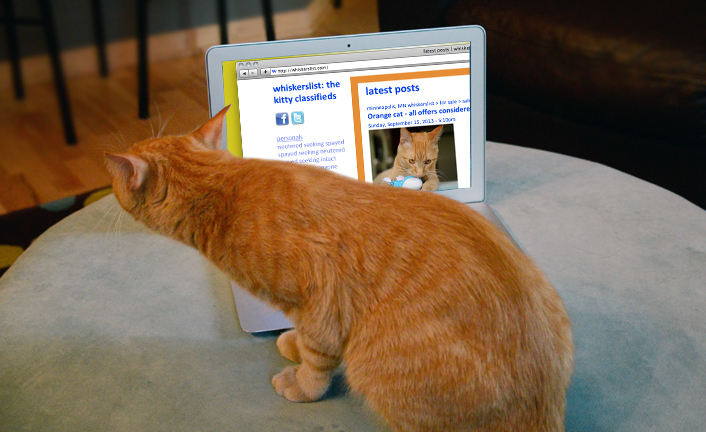 Be SURE to check out Whiskerlist.com to create your own kitty classifieds. It's a super-fun, easy-peasy and giggles all-around. 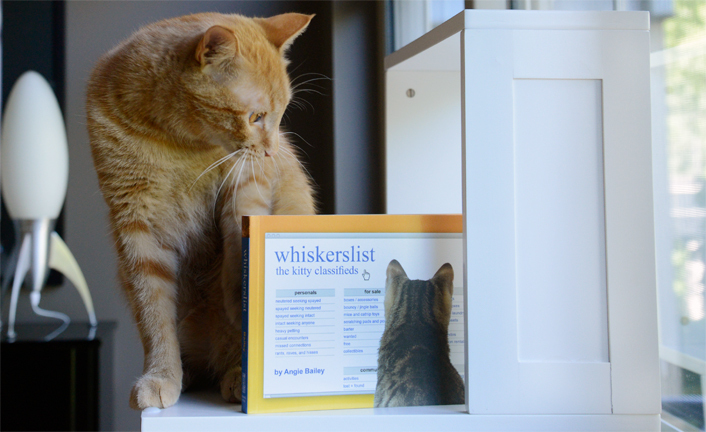 Order your own copy of Angie Bailey's Whiskerslist The Kitty Classifieds HERE. We ♥ Angie and we ♥ Whiskerslist! LAST DAY – Sleepypod Giveaway! Types in url to post image of Ichiro. How much do you think I should pay someone to take him? 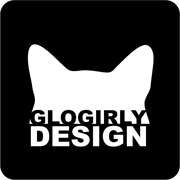 * falls of chair in fits of giggles * This is the funnest post ever on GloGirly!!! 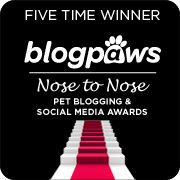 I am SO going to submit this as a Nipclub pawty prize! HahahaMeow! This sounds like a great read! 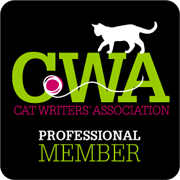 I'm glad you're supporting our fellow CWA member! Love this book and Angie BUT do not let Waffles get his paws on it! 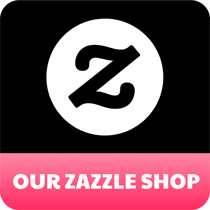 The website is addictive. We did our review yesterday and have a giveaway for two copies. 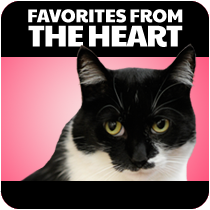 Somebody needs to create an island for wayward kitties - and put it on Whiskerslist! I've got a certain tortie I could send there. Uh-Oh watch out Waffles :( (sounds like a hilarious book)! Sounds like a fun book! Let us know if you get any bids on Waffles, poor dear! Awwwww Waffles Too!!! Queen Katie is just joking, honest! LOL!! Great review there Katie, but poor Waffles. Make sure you trade him for something good. That sounds like a rather unique and fun book! This is hilarious and your ad is purrfect for you Katie! Um, Merci says when the price drops to what she can afford (she doesn't have any green papers), she'd take Waffles. Percy and Cameron are all grown up and independent, so she wouldn't mind a little more responsibility. How fun! 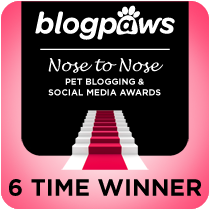 Pierson would like to post... "Fun-loving dog... I mean cat looking for someone to chase... I mean play with." So fun to read them and post them on her site. I did one with Tubby washing clothes another with Garfield and his dignity. LOL. The Waffles one is too cute. Poor Waffles. Katie always trying to get rid of him. LOL. 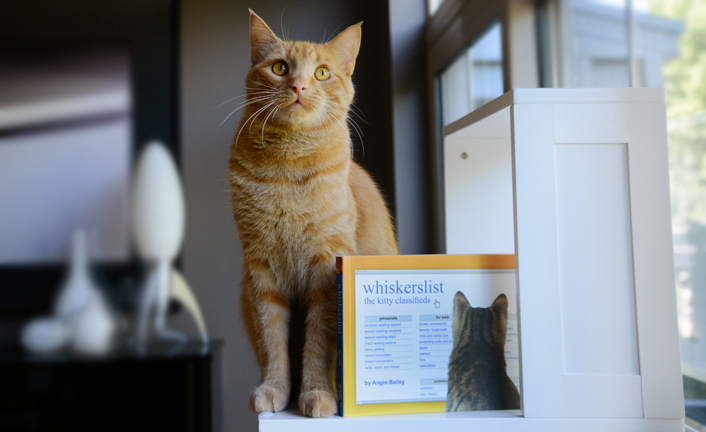 Whiskerlist sounds hysterical! Actually, since Angie is so clever and witty, we're sure it is! Katie! you wouldn't would you? Hmm, yeah , I think you would. I looked at the web site yesterday and me and mum thought it was very funny. Sounds really funny. I do agree with W2 that we have paws, not legs. I read you're ad and I must say I'm not innerested. Well, maybe if you paid ME. Heh heh. The cat who came before me put an ad in. I'm gonna put an ad in looking for another typist soon. 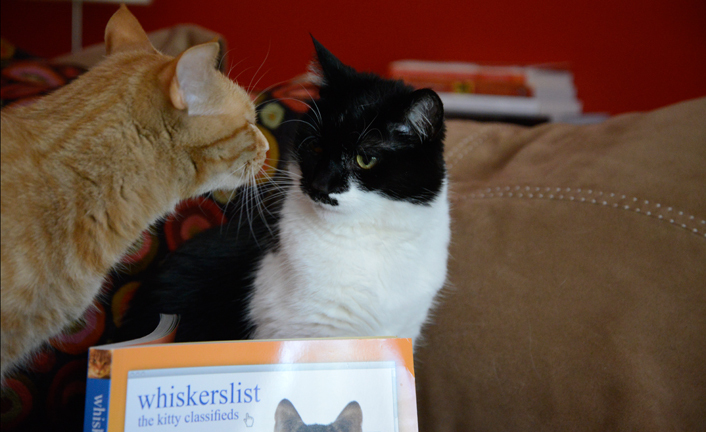 Allie: I've been carefully studying the online whiskerlist ads - you know, to get a feel for the best, most successful wording. Maybe we should confer? For sale: plastic chewing, plastic seeking Siamese cat.